Brick is a movie that I may not have been that interested in had Joseph Gordon-Levitt been in it. But when I started reading up on it, I thought it sounded like a pretty interesting story, and proceeded to search for it everywhere. By some stroke of luck, I managed to get hold of the DVD from some backwoods-ish supplier. Lucky, lucky me. Brendan Frye (Joseph Gordon-Levitt) is a loner, but is someone who knows all the ins and outs of the social lives of the people at his high school, though he chooses to stay on the outside. When his ex-girlfriend Emily (Emilie De Ravin) turns up dead, he is determined to find who killed her and why she is dead. Here he finds himself in the dark and dangerous social strata of rich girl Laura (Nora Zehetner), intimidating Tug (Noah Fleiss), drug-addled Dode (Noah Segan), seductive Kara (Meagan Good) and the ominous Pin (Lukas Haas). But who can he really trust to get the answers to his questions? This is one of the greatest examples of a modern Film Noir, made all the better by it's relevant High School setting. Joseph Gordon-Levitt, as always, performs to his utmost best, and is truly convincing as a young detective. His emotional connection to both the character and the audience makes this film worth the while. All of the other characters in this movie are well thought out and have several similarities to other Film Noir characters from the 1940's. What makes this movie so unique is the way it is directed. Rian Johnson once cited that influences on visualization for this movie were Spaghetti Westerns. This is just one facet of this film which is taken from the past. It is a mish-mash of different films which comes together as quite an original film itself. It's drug dealing storyline is quite interesting, and the character 'The Pin' is rather intriguing and serves as one of the films greatest originalities. An intriguing modern Film Noir, with a great lead performance from Joseph Gordon-Levitt, the actor to watch into the future. 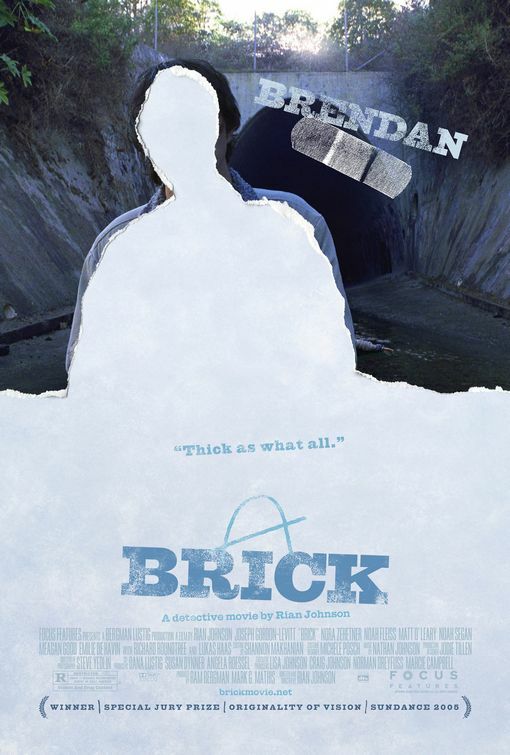 This is the first movie I saw from Mr. Johnson, and as we can see from both this and Looper. the man can make highly original stories. It's a shame he doesn't release more. Give this man a franchise. Great review Stevee.